* 1. What topics are you most interested in? Check all that apply. #1 - I am brand new to homeschooling and I need directions on how to start, what to do next, what curriculum to buy, etc. #2 - I've been homeschooling for a while but I still feel confused and need clarity finding what fits best for my family. #3 - I have found the right rhythm for our homeschool and I love the constant encouragement and support I find in this community. #4 - I feel like I've have been overdoing or not doing enough in our homeschool, and I'm feeling exhausted and overwhelmed. #5 - None of the options above. Couldn't pick two answers? Just add the second one here. * 8. As a mom, what is your greatest struggle right now? * 10. Are you a member of any of our Facebook groups? If yes, which ones? * 11. What would you like to see more on the blog or happening in our online community (Facebook page, Facebook group, Instagram, etc)? * 12. My heart's desire is to help you and encourage you in your motherhood journey. Are there any suggestions you may have for me to improve the blog? * 13. How many stars do you give to They Call Me Blessed? * 14. 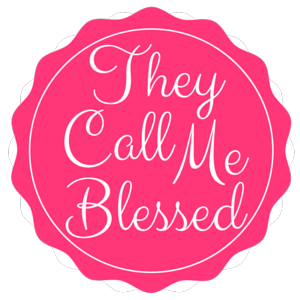 How likely are you to recommend They Call Me Blessed to a friend? * 15. To what email address would you like me to send tips to help you overcome your current struggles and some encouragement?